Great news, App-V 5.1 has finally been released! It has been a little while since the announcements at Ignite but now it is here at last. Overall this release goes a long way to consolidate all the work that has been put into App-V 5.0 since its original release and sends a strong message to anyone still on 4.6 that it’s time to migrate. App-V 5.1 brings about some marked improvements with the conversion tool, a feature which has had focus in releases previous to this one in an effort to improve the success rate that users can achieve when converting their legacy 4.6 packages over to the new format. 5.1 brings a range of improvements, the main two being the ability to carry across scripts from legacy packages over to the new format and the support for root drive hardcoded paths. You may also notice the new switch available called -OSDsToIncludeInPackage which allows us to specify which .OSD files should be consumed into the package and User/Deployment Config XMLs, before 5.1 this granularity wasn’t available and all OSDs got pulled in. The Q:\ drive (or whatever letter you used as a mount drive in 4.x) was an integral part of how we packaged in the legacy version of App-V, this means there is a strong possibility your 4.x packages have hardcoded paths tucked away inside its files (commonly in .ini, .conf and .xml), this is partly the reason why Microsoft always insisted the same drive letter was used as a mount across Sequencer and all clients. Bringing back a long awaited parity point with 4.6, 5.1 now supports multiple scripts per event. This basically works by calling a “scriptrunner.exe” as the path for your script handler. 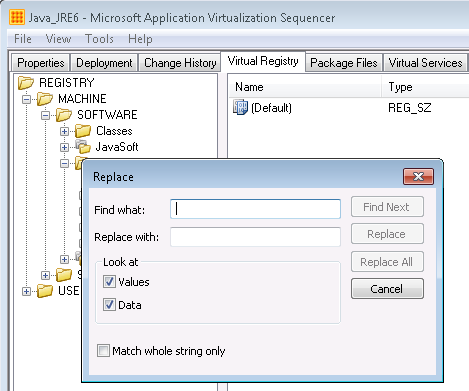 You will notice this .exe is included as part of your App-V Client install. You then simply pass -appvscript parameters in the section of your script to list out all the scripts you wish to run. For example we might have something similar to below if we wanted run multiple scripts upon publish of our package. Notice we not only have the ability to call scripts but to also pass arguments against them and specify App-V related parameters too. This allows you to make changes that become permanent and default within the .appv itself rather than rely on the dynamic configuration files. For example if you had a script that is required to allow your package to run and this script was required for all deployments then you could put this script into the manifest.xml and import it into the .appv. This feature is on the Advanced tab of the Package Editor. Luckily the boys over at Virtual Engine have already updated ACE (my go to dynamic config .xml editor) to now support manifest.xml files! Check it out here. This new checkbox allows you to choose not to have BHOs enabled in your package, previous to 5.1 BHOs where enabled by default with no way to change this in the package. Now for example if you want to publish a package globally but don’t want BHO integration to occur you can untick the box shown below. It will then comment out the BHO references in the manifest so they no longer apply, notice it doesn’t use a true/false switch like other integrations. If you’re wondering what BHOs actually are, then scroll half way down this post here. There has been a range of small improvements made to the Package Editor in terms of the way we work with files and registry. Some improvements are less noticeable like the current path being displayed as you navigate the registry, others are more noteworthy such as the addition of “find and replace” and the options to import entire registry locations or file directories. All of these features increase the usability of the package editor and should make life that little bit easier. App-V 5.0 brought forth a new web based management console built on Silverlight. In 5.1 this console has now been re-written in HTML 5. This should allow much easier development of the console going forward and also hopefully get rid of some of those annoying window scaling issues seen in the previous console. 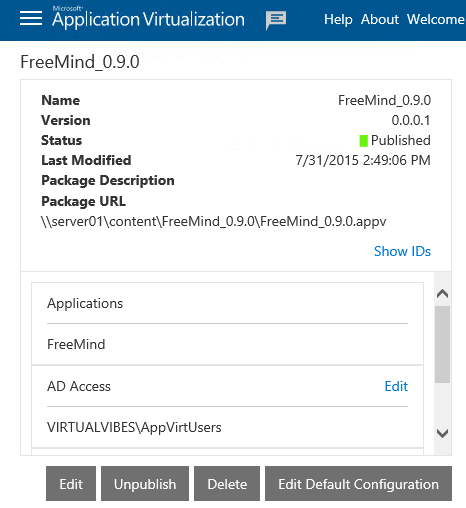 As you would expect with the recent release of Windows 10, it is now also supported with this new release of App-V. Probably one of the more ‘under the hood’ and less visible changes, packages in a connection group will now merge their respective environment variables. In previous releases only the top level package of a connection group registered environment variables. A great step forward to troubleshooting, anyone who has had to do beyond basic troubleshooting of the App-V Client will be familiar with the App-V Debug logs, a long list of an additional 32 nodes containing logs which could be enabled. The problem was knowing which log to enable. Microsoft have now rolled up these logs in a more simplified model which retains the three Admin, Operational and Virtual Applications nodes but has consolidated the debug logs into five additional logs. Thanks Thamim for sharing this information ! Clear and concise as usual Tham. Thanks for this. No problems Mark, glad you found it useful! Thanks Thamim for your quick post with a clear explaination.Hope App-V 5.1 will be more advantageous. And ofcourse will be expecting new posts from you in upcoming days. Is there any possibility that App-v 5.0 will also support windows 10, or we have to move to App-v 5.1 for Windows 10. So still no ability to go back and directly edit shorcuts after the initial sequencing stage? We still have to pretend we are adding a new app to the package & go through all the hoops to access this dialog? I wanted to know that , is there any specific reason for removing direct shortcut editing tab? Unfortunately not, but this has been raised with Microsoft and they are aware of how annoying this is! Where did you get this info about the reduced CoW exclusion list? Hi Mark, Thanks for raising the question. The info was from Microsoft and I was involved in presenting this at Ignite earlier in the year. I will talk to the guys at MS to get the TechNet article updated. Hi Mark, just a follow up to let you know Microsoft has now changed the TechNet article to align with the exclusions mentioned in this post. The link “https://technet.microsoft.com/itpro/mdop/appv-v5/creating-and-managing-app-v-51-virtualized-applications” still shows the CoW exclusion list with 59 file extensions. Could you please confirm if the list on this page (with only 4 file extensions) or the list in the above link is the updated? Regretfully the list on this page is correct and the TechNet page is not accurate / hasn’t been updated. Any link to download the App-v 5.1 Sequencer and Client setup? Also, I want to know that the applications that will be converted from App-V 4.6 format through App-V 5.1 will be supported by App-v Client 5.0 or not? Thamim, have the AppV advanced logs been removed in Appv 5.1 or consolidated? 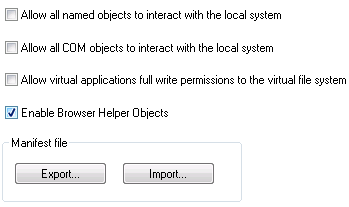 I have only just had a chance to look at AppV 5.1 and noticed these seems to be very different then 5.0. Hi Dave, they have been consolidated, check out the service debug logs…. Tham its Devlin looks like your killing it as usual, great to see this info from the main man! Have a great new year fella! Hi Tham, Can I have yours and others thoughts on whether the App-V 5.1 client installation on a clean machine requires a reboot or not. 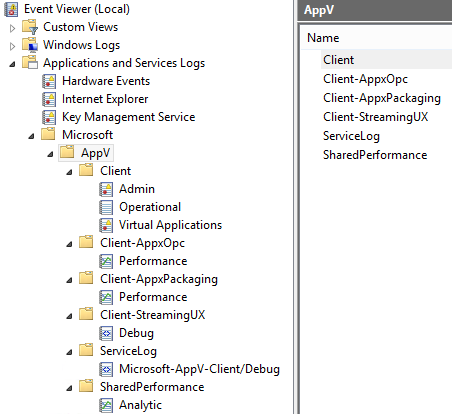 The install logs do not request one but connecting to a VDI machine over ICA I have noticed that the appv client cmdlets will not load. The install does indeed need a reboot. 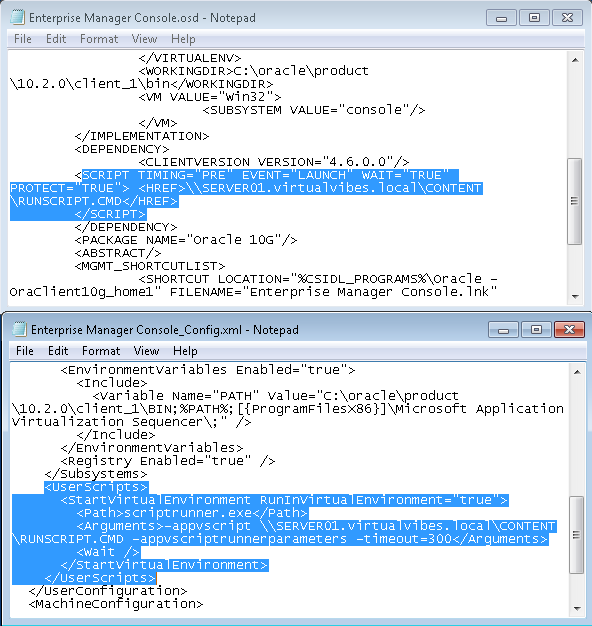 I would like to know what the “ProductSourceURLOptOut” tag actually in the Deployment Config.xml really does. I have referred the url: https://technet.microsoft.com/nl-nl/library/jj713466(v=vs.85).aspx. But it didn’t give me much information. Also, I would like to like understand the use of xmlns=”http://schemas.microsoft.com/appv/2010/userconfiguration” tag in the userconfig file. I really appreciate for this this valuable information. 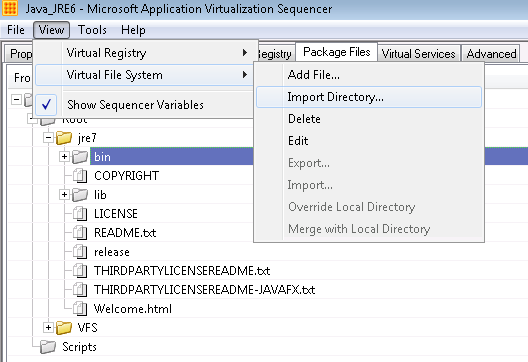 I am using App-V 5.1 sequencer in Windows-10 Anniversary Build, whereas when i tried to convert App-V 4.6 packages it is showing that appvpackageconverter is not installed. I have Installed the Sequencer through WIN10 ADK. There is no option (Feature) to select the App-V Converter Installation. Tried with Appvsequencer.exe as such done in windows 7 machines,but throwing error that it could not be installed. Is there any other way to Install it.please suggest. To be more specific. The error is “Resource Unavailable as it is not found in any module directory. Are you using the convertfrom-legacy cmdlet? At the time of Import-Module appvpkgconverter itself am getting the error stating that “No valid Module Found in any module directory”. Inturn,Not able to go with the convertfrom-legacy command. I’m using Windows 8.1 VM and local admin account non-domain joined VM, trying to run multiple scripts with scriptRunner.exe, having issues when trying to launch the package with the deployment configuration.xml Or user configuration.xml. They don’t seem to be run the permissions script or Powershell script, the files have been added to the package. extract taken below, am I do something wrong.? can we convert appv 5.1 packages back to apvv 5.0? You could run them back through the 5.0 sequencer I guess, why do you want to do that though? I started learning App-v , want to know when we will use user scripts and machine scripts. it would be great if this can be explained with a good examples.